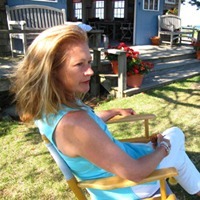 Mary Petiet is a reporter, writer and story teller. The author of Minerva’s Owls, a book remembering the divine feminine to re-envision the world, Mary also covers the local farm beat for Edible Cape Cod magazine. A contributing author to several anthologies, she has published a selection of essays and articles in a variety journals and magazines. A graduate of the University of St Andrews, Mary works as a reporter and is host of the radio podcast Kitchen Table Mystic.